S. Dan Li Current position: Senior Research Scientist, Informatics, Eli Lilly and Company Education: Ph.D. (1999) Cell & Molecular Biology, University of Texas Southwestern Medical Center at Dallas; Gene regulation in B lymphocyte differentiation. 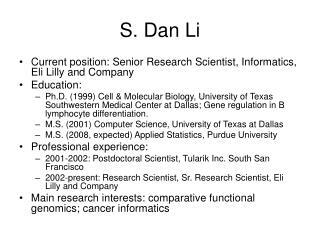 Ph.D. (1999) Cell & Molecular Biology, University of Texas Southwestern Medical Center at Dallas; Gene regulation in B lymphocyte differentiation. 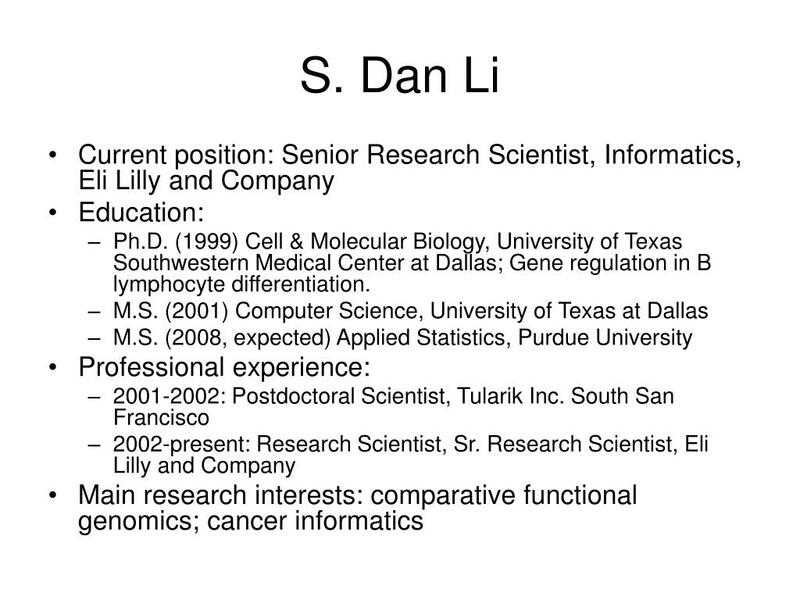 Q1: If the cell lines represent the tumor tissues that they are originally derived from? 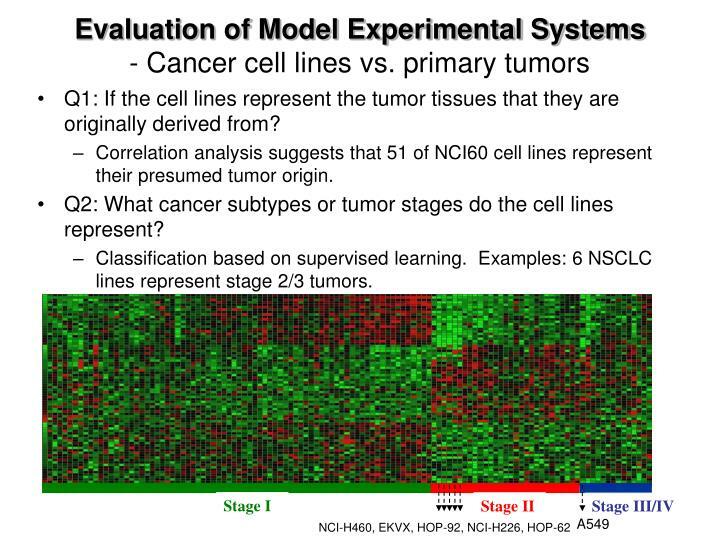 Correlation analysis suggests that 51 of NCI60 cell lines represent their presumed tumor origin. Q2: What cancer subtypes or tumor stages do the cell lines represent? Classification based on supervised learning. Examples: 6 NSCLC lines represent stage 2/3 tumors. Q3: What pathways are activated in primary cancers and cell lines? 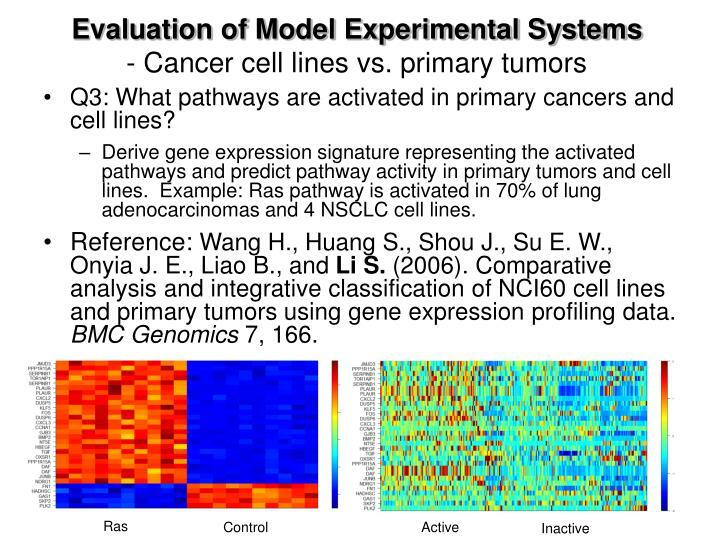 Derive gene expression signature representing the activated pathways and predict pathway activity in primary tumors and cell lines. Example: Ras pathway is activated in 70% of lung adenocarcinomas and 4 NSCLC cell lines. 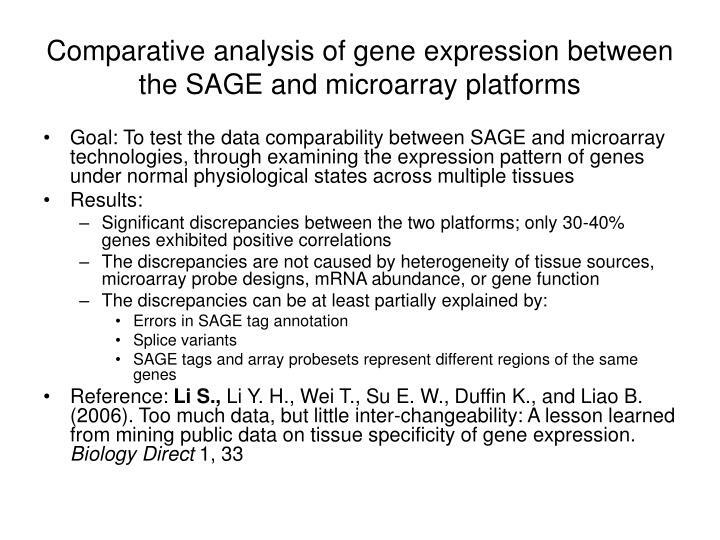 Reference: Wang H., Huang S., Shou J., Su E. W., Onyia J. E., Liao B., and Li S. (2006). Comparative analysis and integrative classification of NCI60 cell lines and primary tumors using gene expression profiling data. BMC Genomics 7, 166.